Our Little Marines Room provides a soft home like environment that supports staff in the nurturing children from birth through to 20 months. 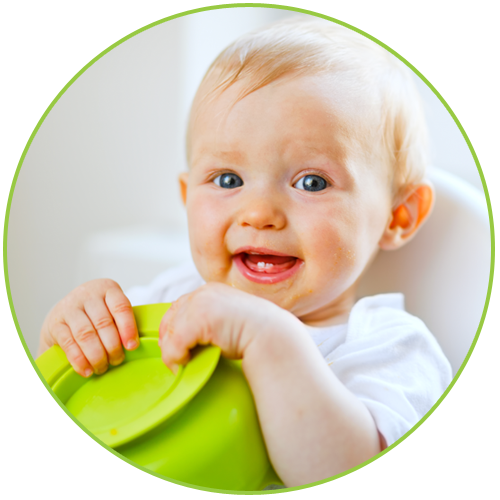 We believe that Young children explore their world through trial & error, tasting, observing, testing & exploration. We provide experiences & an environment that supports all stages of their early development & sensory skills whilst expressing creativity & emotions. Staff ensure that these opportunities are given to all children as they begin to develop an awareness of their own self and the world around them. Our daily routines reflect all individual children’s needs and interests with a focus on providing secure and loving attachments to foster their confidence and potential. We operate on a high staff: to child ratio of 1:4 with all staff having many years of experience & knowledge of child development. We have a sleep facilities that overs a cosy and relaxing sleep area for the younger babies, and individual routines discussed with parents are followed for each child for their sleep and other routines of the day. We provide all bedding & sun hats for all children. Families are required to provide all nappies & wipes & meals, we believe this is important so it’s a continuation of the care environment form home to centre. We support mothers who are breast feeding & welcome this to be continued during the day. Our Little Cubs have access to an outdoor play area at suitable times of the day, allowing them access to a space they can explore and feel safe in.